SEMA Show 2017 and we won a New Product Award! What a great start to the show! Our newest invention, the ValveStem Signpost was just chosen for a New Products Award. There are only 16 categories, and over 3000 entries, so to be recognized in this manner is a true and humbling honor! The ValveStem Signpost is nearing production and should be shipping in December. We will update the Order Page as soon as we are ready to take orders, but we can reveal that these will come in quantities of 25 at a time and will be about $100. 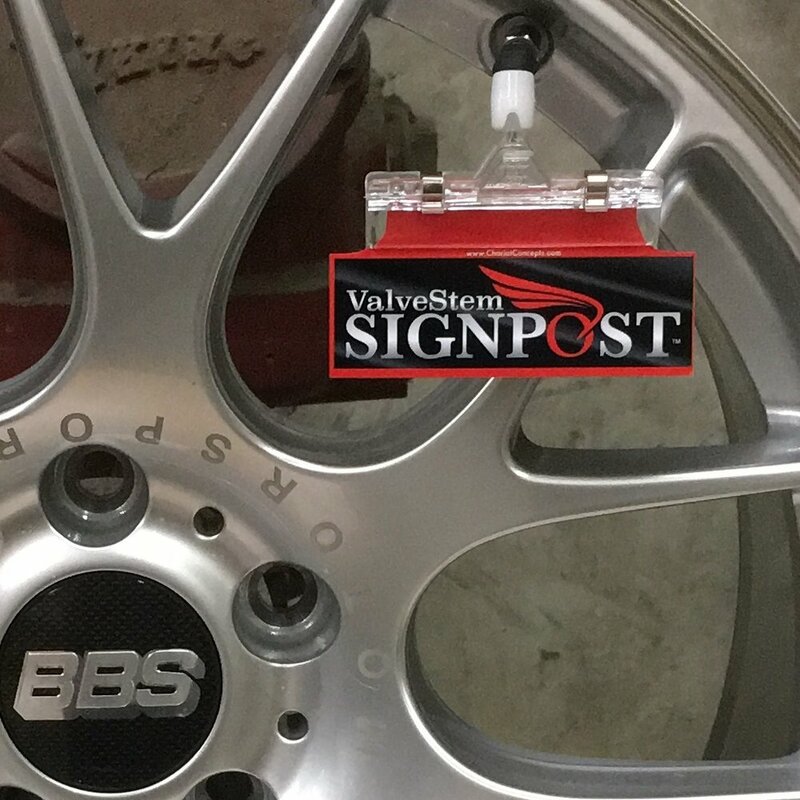 The ValveStem Signpost screws directly to the valve stem and provides a swivel mount for sign clips. If you have a wall of display wheels and you are tired of using tape or other clips that slip and fall, this is for you. It also works on mounted tire/wheel displays of course. SEMA News Magazine February 2018 - Winner! Psalm 104:3 "He makes the clouds his Chariot, and rides the wings of the wind."